Your walls burst with conceptual art, your coffee table was once a tractor tire, and the couch you're sitting on is suspended by wires. 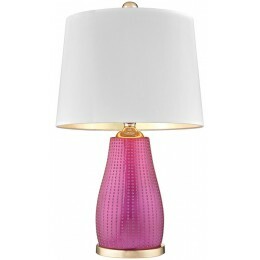 finish the story with our Brigitte table lamp: Hot Cerise Pink motif with gold-lined shade. 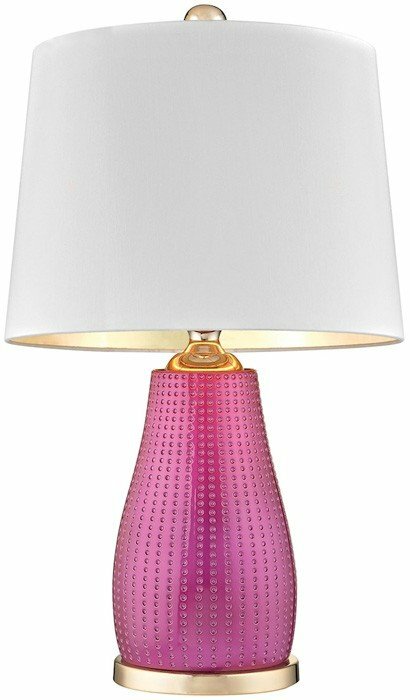 High-fashion beaded texture story. Thought cloud: amazing.